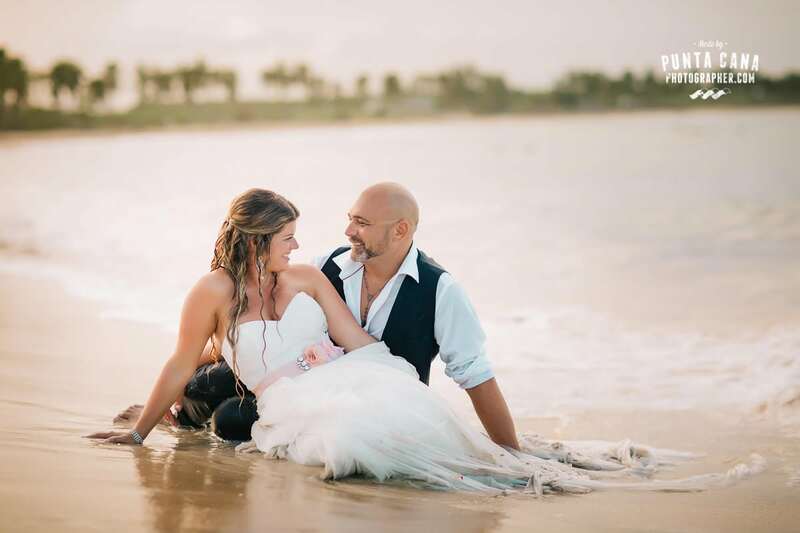 After photographing Liliana and Tony’s Wedding Day, having a Trash the Dress was next. We have done this type of photoshoot more times than we can count but we always feel glad we did. 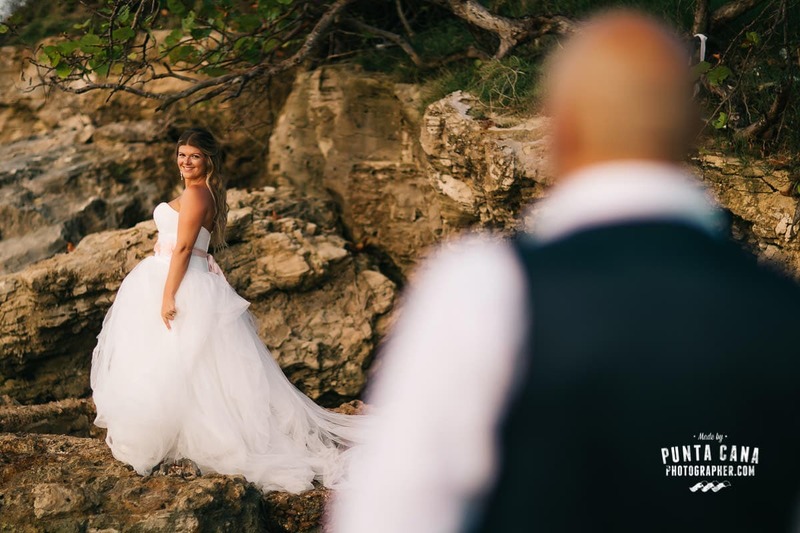 In case you are wondering, no, the name is not because you actually will have to trash your dress! It will get wet, it will probably be sandy but nothing will be trashed or damaged so no worries! 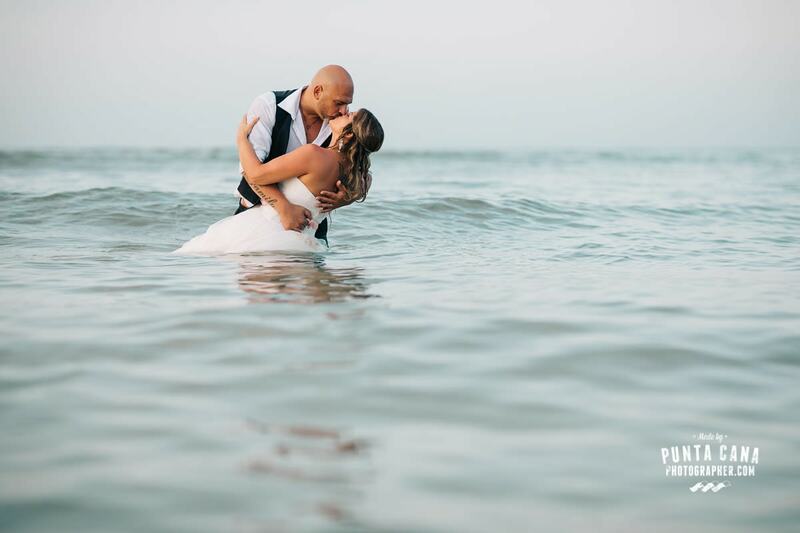 Trash the Dress: Is it for me? 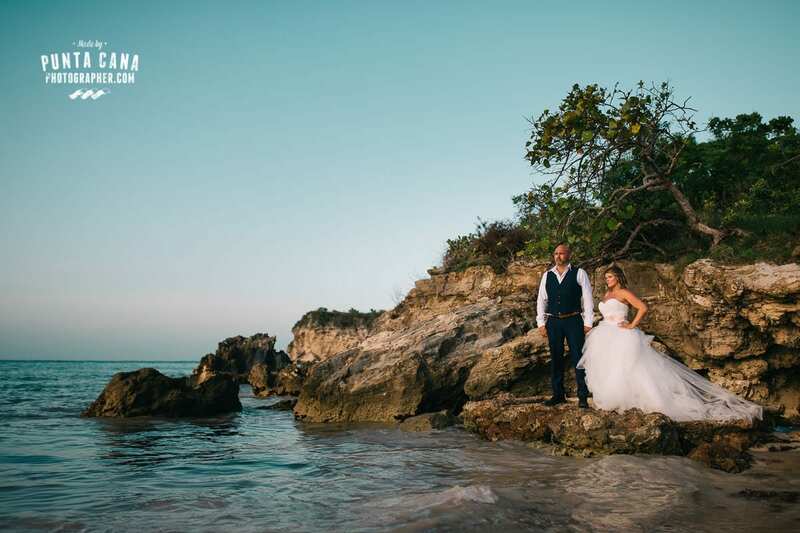 We picked them up from their resort and drove straight to Macao Beach, a beautiful location that we use often for our photographs. The place has it all. Palm-trees, rocks, ocean, a lot of greens, local huts and gorgeous afternoon light. Macao Beach is one of the few public beaches in Bavaro and Punta Cana that is left. Most of the local beaches are now part of resorts where you are not allowed to go for any reason, especially not for a photoshoot! We had already spent a full day with Liliana and Tony so we got to know them quite a bit before doing this photoshoot. 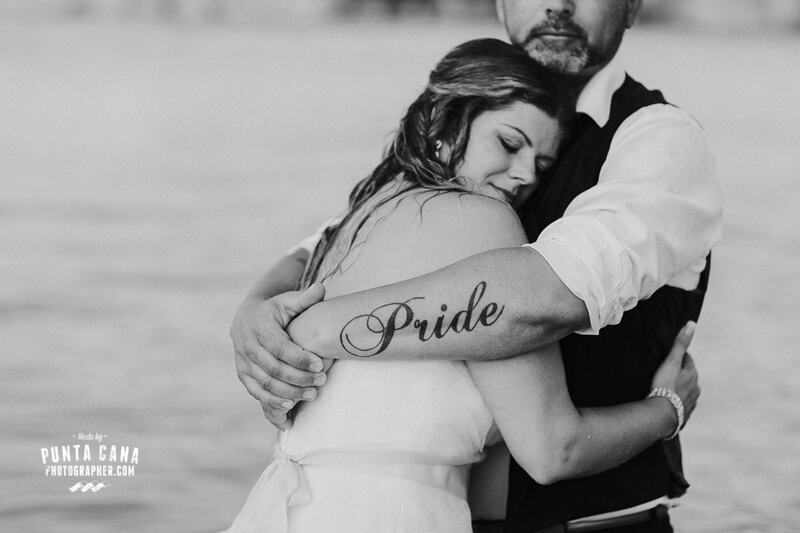 Like we always say when we do any type of wedding photo shoot after the wedding day, it is completely worth it! 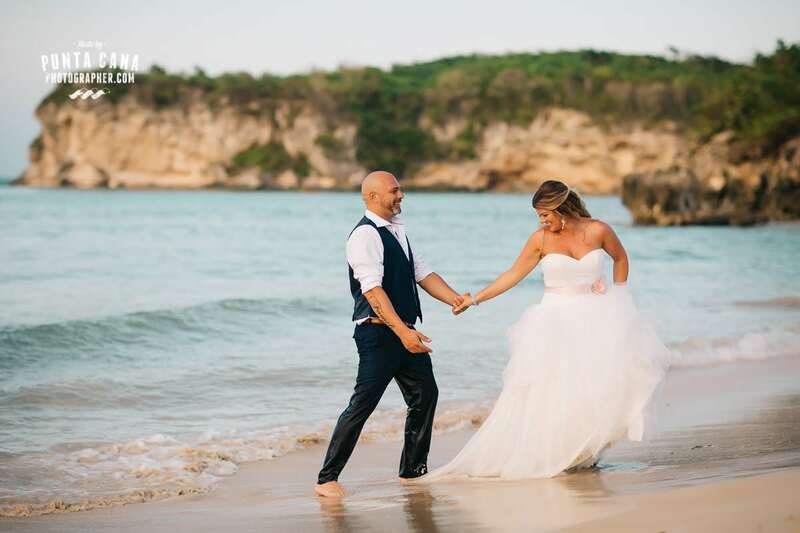 The stress of planning a destination wedding and making sure everything goes according to plan is over and all you have left to do is enjoy your vacation…and honeymoon! So this shows on the photos because of how people feel around each other and with us too, since we don’t have a list of photos we have to do for them. 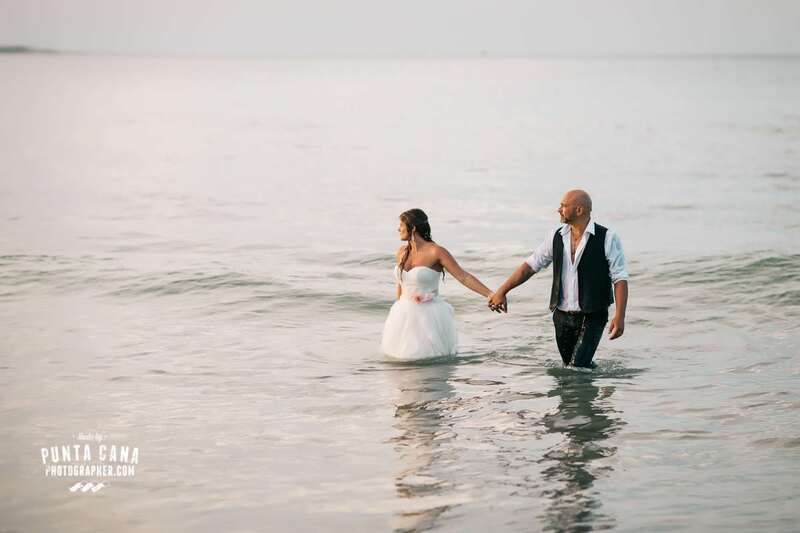 So whether you are willing to get in the ocean with your wedding dress or not, we recommend having a second day to do any type of photoshoot where there’s just the two of you. If you are not thinking to use your wedding gown, you can always have a second white dress to use for this occasion. A lot of our brides go for this option and we think it’s a great idea! 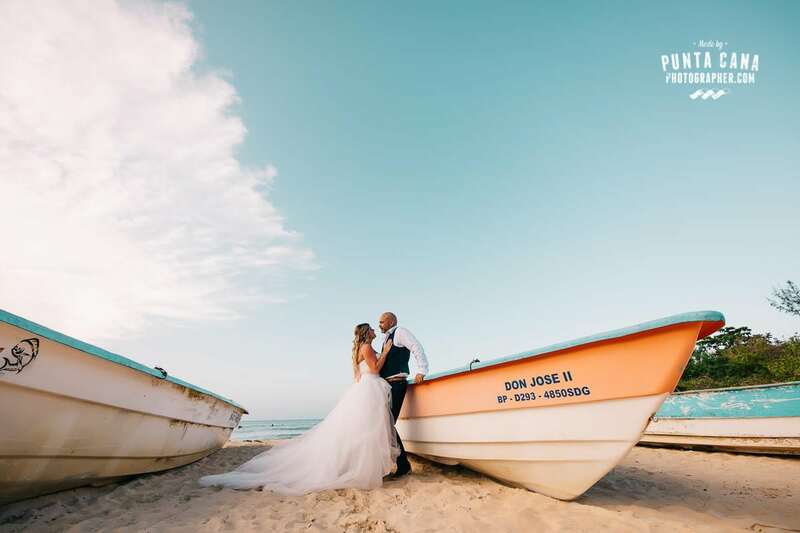 If you are not thinking of getting into the ocean at all you can always do a honeymoon photoshoot on the beach or in Altos de Chavon, and only if you are really fun and brave a color powder photoshoot! If you want to find out what this last one is, make sure you click here!